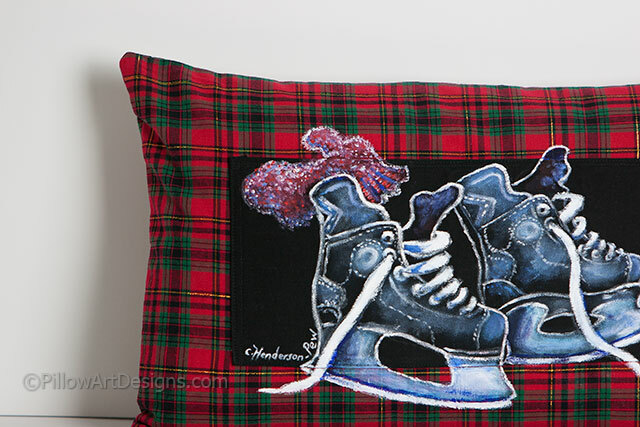 One of our seasonal line of decorative art pillows, a pair of boys' ice skates with white laces painted on black against red, green and black tartan. A red mitten lays atop one of the skates. 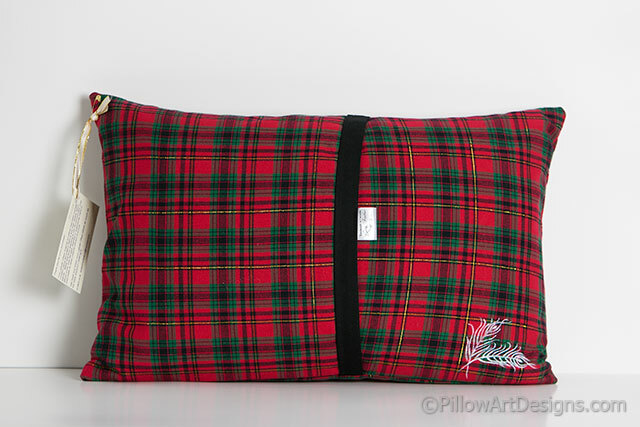 We've trimmed the edge of the back tartan with black fabric, coordinating with the front panel. A beautiful and warm decorative accent adding artistic interest and a unique look to your seasonal decor. All our Feather Sisters art is painted and signed by Canadian artist Carol Henderson-Pew. 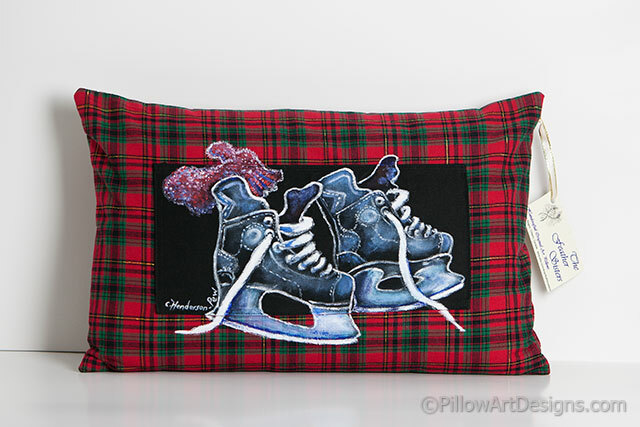 Carol also hand paints our Feather Sisters logo on the bottom back corner of each pillow.